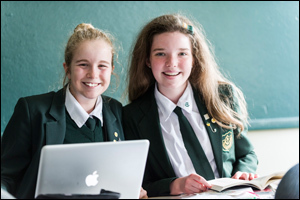 Elmwood School provides academic excellence, leadership, global citizenship and community service for girls from JK to Grade 12. When you walk through the halls of the school you notice the extraordinary energy, enthusiasm and purpose that our students possess. This is a place where girls feel safe and secure, a place where girls can find their voice, and a place where girls dare to dream big. Elmwood girls continually outperform academically, especially in math and science. The rigorous International Baccalaureate Programme provides a world-class foundation in inquiry-based learning for all students, JK to Grade 12. 100% university acceptance. Our girls go on to study at prestigious schools around the world, 50% of them study math, science or engineering. Exceptional faculty who understand and respond to the ways girls learn. Elmwood is a safe, supportive place. Girls can express themselves, build friendships and learn self confidence. Global citizenship and social responsibility are not just buzz-words here. Our girls give back, to their community and beyond. 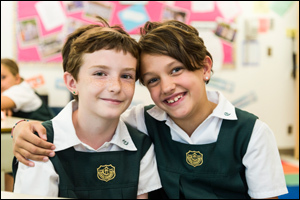 Arts, athletics, academics and a host of co-curricular activities ensure a balanced lifestyle for every student. Elmwood embraces digital learning and considers technology an essential teaching tool.